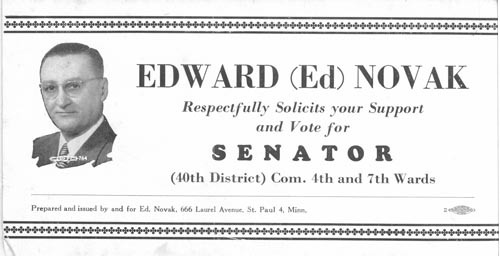 Edward (Ed) Novak Respectfully Solicits your Support and Vote for Senator (40th District) Com. 4th and 7th Wards. Prepared and issued by and for Ed. Novak, 666 Laurel Avenue, St. Paul 4, Minn.